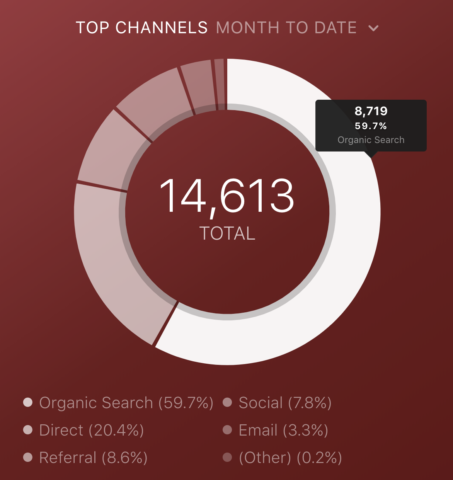 As the number of marketing channels continues to grow and evolve (as well as the tools companies use to track them) one thing has remained constant in just about every marketer’s stack–Google Analytics (GA). Mostly due to its accessibility, marketers use Google Analytics to track metrics that span the entire funnel, from acquisition to conversion. However, our data indicates that Google Analytics usage tends to favor the top of funnel. It’s likely that marketers and the companies they work for prefer other tools for more visibility into downstream metrics such as conversions, purchases, revenue, etc. 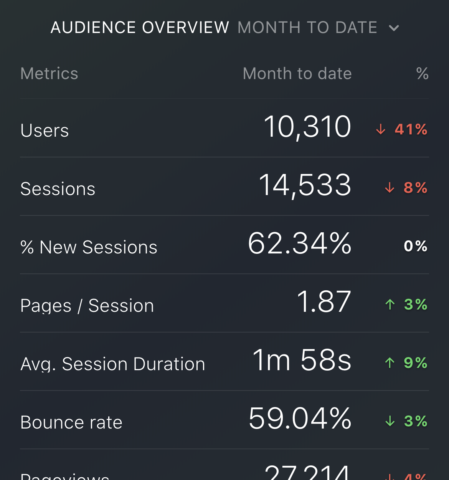 We recently dug into Databox usage to see what Google Analytics metrics people are tracking most and, perhaps, understand what that says about the state of digital marketing. To do so, we analyzed the total number of Datablocks created in Databox for Google Analytics, broke them down by metric, and went from there. Then we asked some of our customers to give us their recommendation for how to best track and visualize these metrics in order to gain more insights. They’re customizable, resizable, and many of them are pre-built so all users need to do is click and drag them to their dashboard to quickly visualize data. Since Google Analytics is one of the top data sources connected via Databox, we wanted to identify the specific metrics being tracked most, and more importantly, talk to real people to learn how they’re tracking and analyzing that data. Key question(s) answered: What channels drive the most visitors? Of the people visiting my website, what percentage of them are new visitors? Key question(s) answered: How many times do visitors complete the goal? What’s the overall goal conversion rate? Key question(s) answered: How long do visitors stay on my website? How many pages do they view? The number of Datablocks used to track them in 2017. 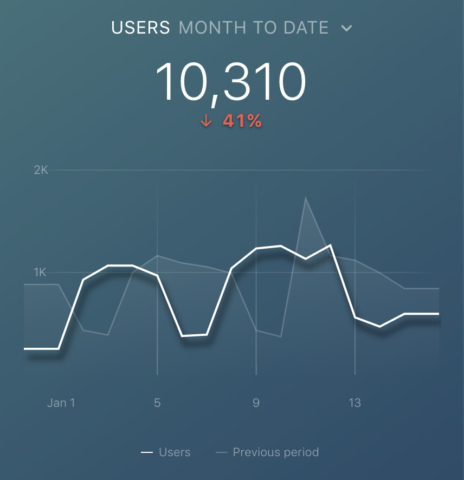 User recommendations for how to track, visualize, and gain insights from these metrics. *Note: The screenshots included are showing sample data. Seeing “Users” at #1 suggests that marketers are (rightfully) more interested in the number of unique visitors (however imperfect this metric may be) visiting their website rather than the number of sessions they log. Recommended Datablock: Line graph with comparisons turned on. – Jonathan Stanis, Weidert Group. 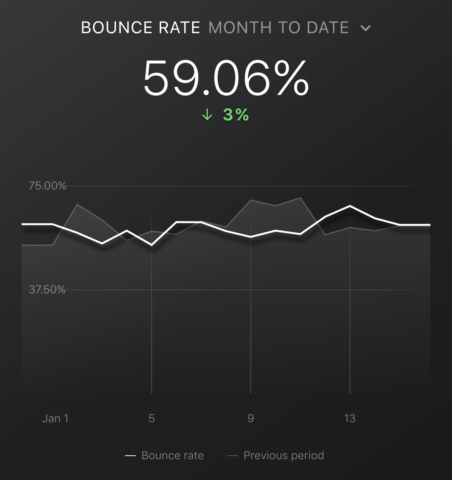 How to improve it: 76 Marketers on How to Reduce Your Website’s Bounce Rate. Recommended Datablock: Line graph with comparison turned on. – Elise Karlsen Bye, Inbound Norway. Recommended Datablock: Line chart cumulative with comparison and goals turned on. – Keith Moehring, PR 20/20. “I like to see the day-by-day progress of this metric, and it’s often one with which we associate goals,” said Moehring. The total duration of all sessions (in seconds) is divided by your total number of sessions to calculate your average session duration. This is how long, on average, visitors are staying on your website. Individual session duration can vary depending on whether or not there are engagement hits on the last page of a session. If there are no hits on the last page of a session, Google Analytics calculates the session duration by subtracting the time of the first hit on the last page from the time of the first hit on the first page. So if the time of the first hit on the last page was 1:00, and the time of the first hit on the first page was 12:30, the session duration is 30 minutes. How to improve it: Here’s how marketers go about improving their website’s average session duration. 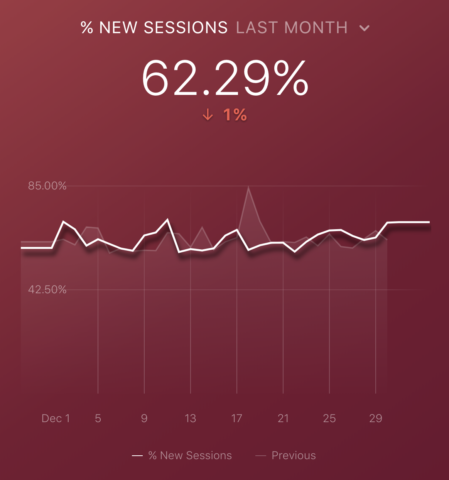 % new sessions is simply the total percentage of first-time sessions on your website in a given time period. Recommended Datablock: Line graph with comparisons turned on. – Doug Davidoff, Imagine Business Development. Google Analytics’ channel groupings classify your traffic so you can track the performance of individual channels like organic, paid, direct, social, email, etc. Sessions by channels are the number of sessions attributed to each channel grouping. “This helps show where the largest audiences are coming from and what channels are struggling,” said Stanis. 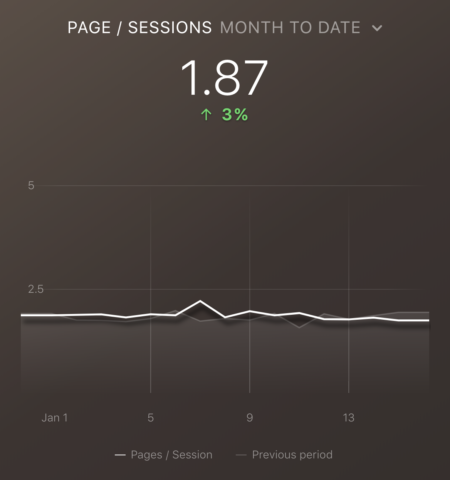 Pages per session are calculated by dividing the total number of pageviews by the total number of sessions. Pageviews aren’t necessarily unique, as the same user can view the same page five times and log five page views. However, it’s still a good indicator of overall engagement. Just be sure to place any analysis within the context of how the metric is defined. Recommended Datablock: Line graph with comparisons turned on. – Elyse Flynn Meyer, Prism Global Marketing Solutions. Goal completions are the number of times website visitors complete a specific goal on your website. This will be different for every user, as you ultimately define what “Goals” are in your Google Analytics preferences, i.e. visits to a specific URL, purchases, signups, etc. 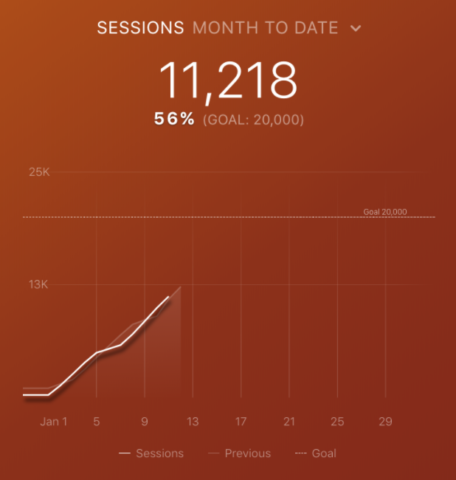 Recommended Datablock: Goal Overview with comparisons turned on. 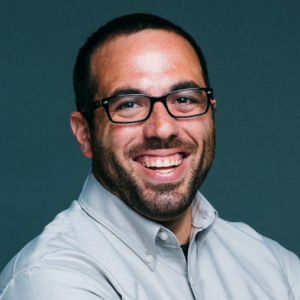 – Pete Caputa, Databox. 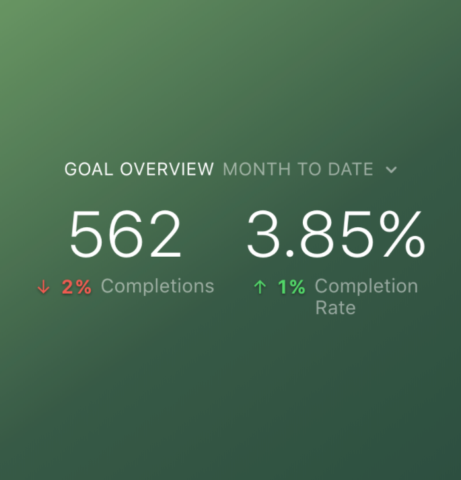 Also unique to every user, “Goal Conversions” are the total number of goals completed by website visitors. This number is not specific to any one goal, but rather a calculation of the number of times goals were completed. For example, if you have 10 goals set up in Google Analytics, this number will reflect the aggregate of the number of times goals were completed on your website. Recommended Datablock: Line graph with comparisons turned on. – Steve James, Stream Creative. 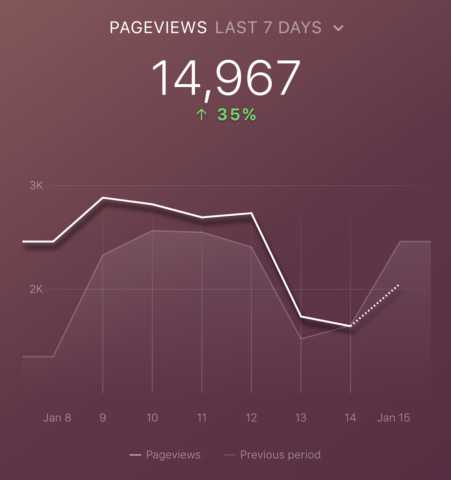 “Pageviews is a key metric to ensure that new and returning visitors continue to access content on your website,” said James. “A solid SEO strategy along with social, email, and other campaigns can be measured in part by watching this metric. 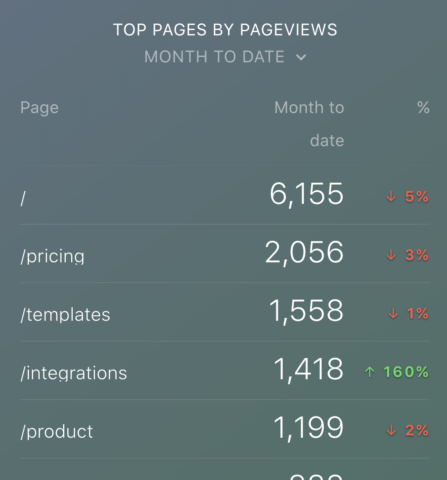 A calculation of your top pages according to the overall number of pageviews they received. Recommended Datablock: Table with comparisons turned on. – Remington Begg, Impulse Creative. “Organic SEO is usually looked at as a big job,” said Begg. “If you have certain pages that are popular it’s always a good idea to look into the user experience, the technical SEO, and other factors that can drive conversions. A constant reminder of the top pages is an easy thing to prioritize. Want to easily track all of these Google Analytics metrics in one place? Want to view more advanced metrics? Here’s 10 more Google Analytics Dashboards created by experts.